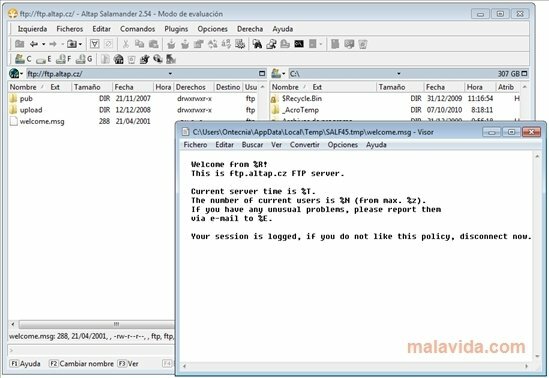 Altap Salamander is a program with which managing and controlling any file stored on your computer will become a very simple task. It is a customizable file manager and it has functions that will make it a lot easier to preview dozens of different formats. - Native support for files compressed as ZIP, RAR, CAB, ARJ, ISO, GZIP, TAR, BZ and DEB. - Possibility to connect to FTP, FTPS, SCP and SFTP servers. - Functions to rename files in batches. - Tools to split and merge files. - Functions that are customizable by means of plug-ins. The appearance isn't very appealing, but it's very practical, due to the fact that by means of a window with two panels you'll have the option to access any file stored on your computer in a matter of seconds. 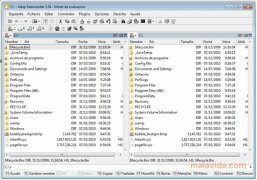 Download Altap Salamander as soon as possible and discover one of the best tools to manage your files. The trial version can be used free for 30 days.